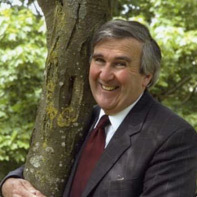 Gervase Phinn was born on 27 December 1946 in Rotherham, South Yorkshire. Professor Gervase Phinn taught in a range of schools for fourteen years before becoming an education adviser and school inspector. He is now a freelance lecturer, broadcaster and writer, a consultant for the Open University. His academic texts include: Young Readers and their Books, published by David Fulton, Touches of Beauty: Poetry in the Primary School and Reading Matters. Additionally he has published collections of his own plays, poems, picture books and short stories, including his anthologies of verse : Classroom Creatures, It Takes One to Know One, The Day Our Teacher Went Batty and Family Phantoms, His books of stories for children, What’s the Matter, Royston Knapper? and Royston Knapper: The Return of the Rogue were published by Child’s Play and became best­sellers. His picture book Our Cat Cuddles appeared earlier this year.